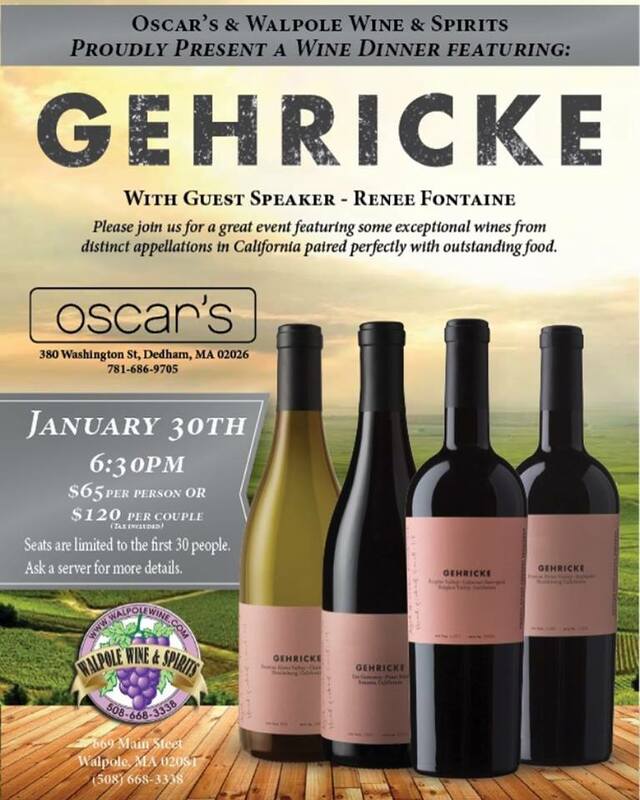 Private Wine Dinner featuring Gehricke - Tickets still avail! RSVP only - still some tickets left for this special dinner event! Call Oscar's at (781) 686-9705 to inquire about tickets!